Pre-heat oven to 350°F. Season short ribs with salt and pepper. Heat oil in a large Dutch oven and add ribs, browning all sides. Set aside. Add shallots and butternut squash. Season with salt and sauté until shallots are translucent. Deglaze with red wine. Add ribs to red wine along with cranberry juice, Yes, Chef! Baker’s Best Friend and fresh cranberries. Cover Dutch oven with lid and cook in oven for 1½ - 2 hours until beef is very tender. Remove beef from Dutch oven and set aside. Strain veggies from braising liquid, place braising liquid into a sauté pan and reduce until thickened. 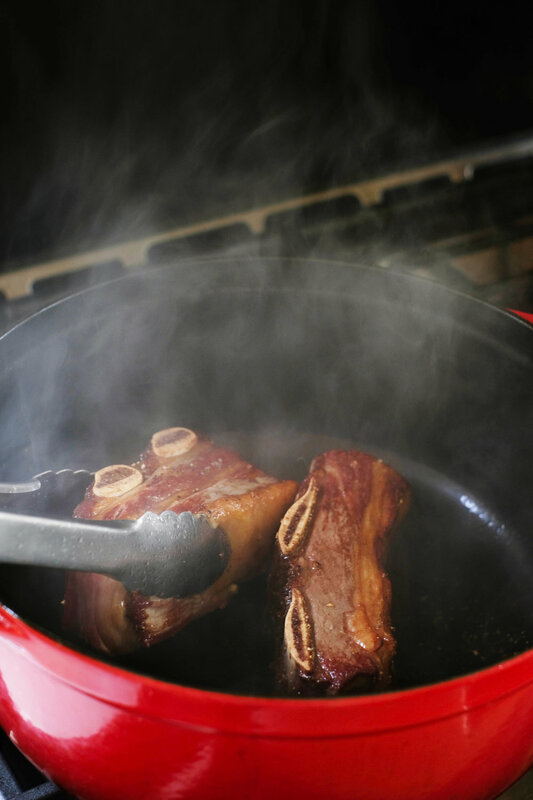 Adjust salt to desired taste and then dress braised short ribs with red wine reduction. (Note: If you would like your finishing sauce thicker, add flour in small amounts. If you would like it creamier, add room temperature butter in small amounts.) Serve and enjoy.